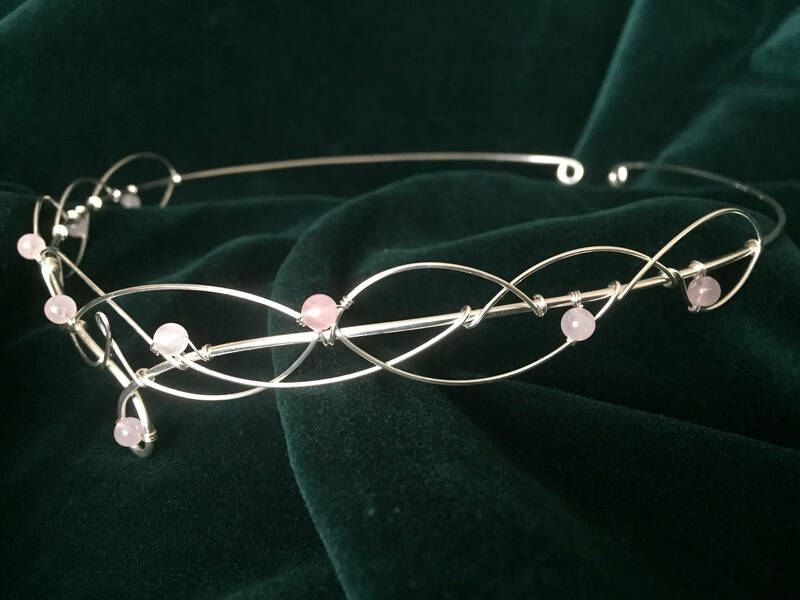 Beautiful handmade silver plated rose quartz circlet. 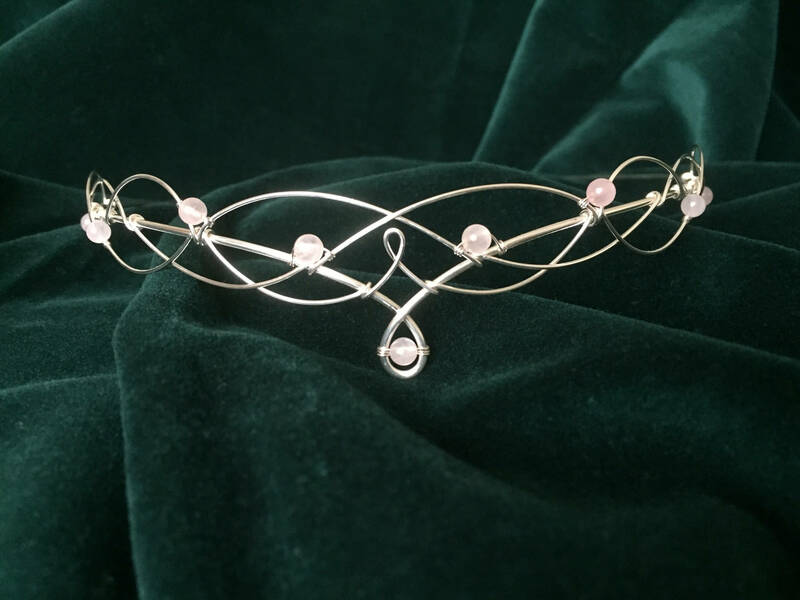 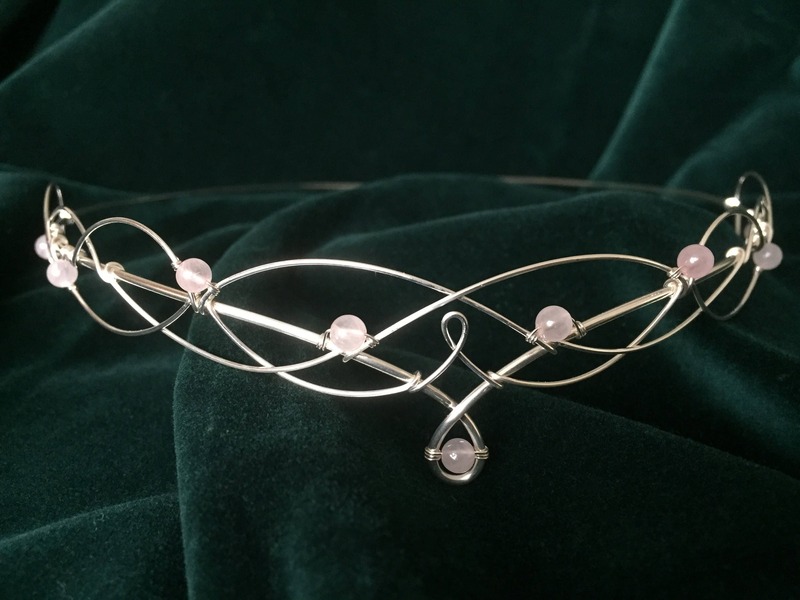 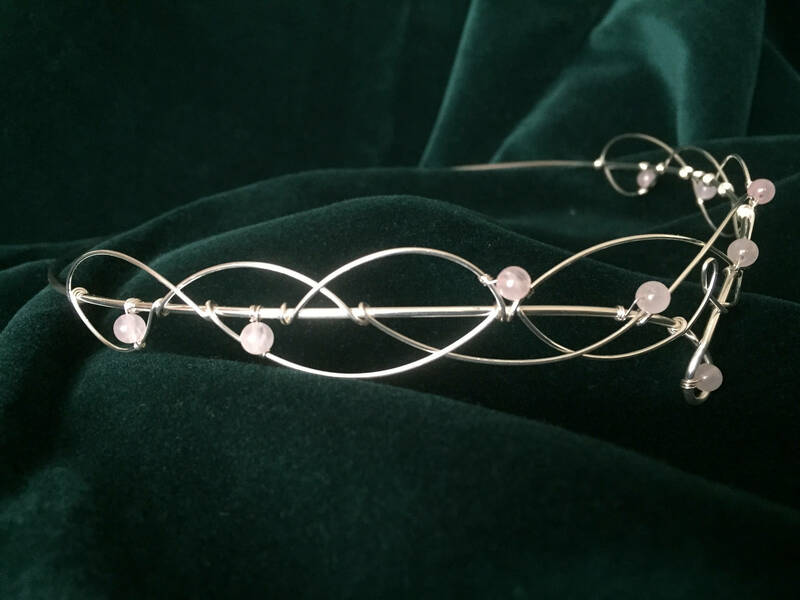 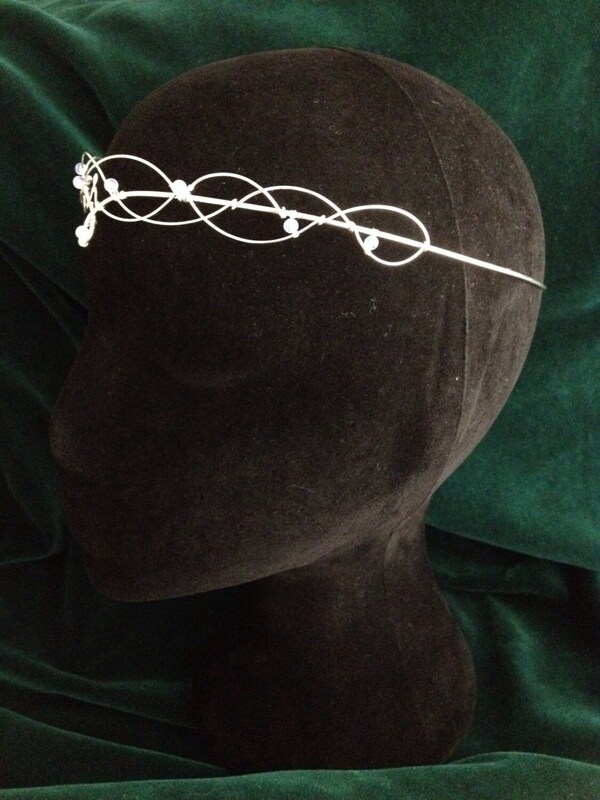 The design is crafted from just two lengths of wire emulating traditional Celtic knotwork with beautiful rose quartz around the circlet. 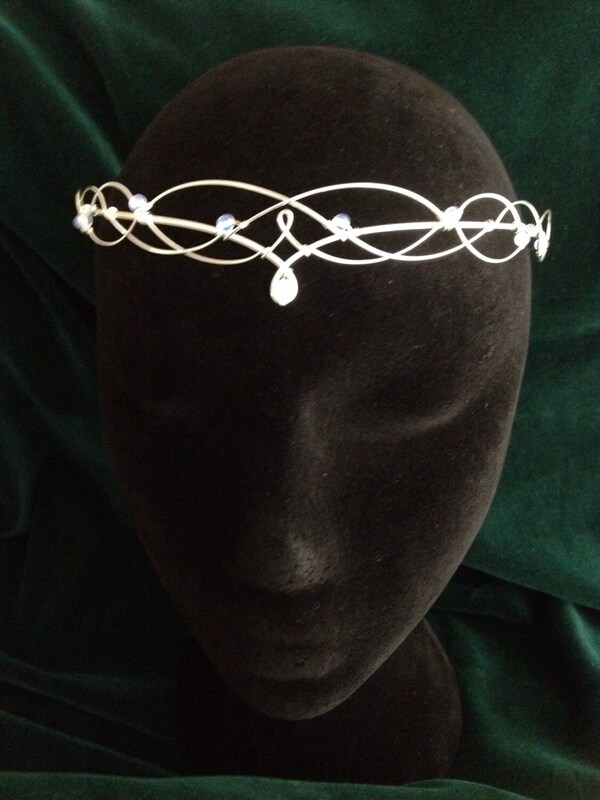 Perfect for weddings, re-enactment, elven, faerie, hand-fasting, medieval or pagan ceremonies.